Antarctica as a continent of change and transformation. Scientists and artists share their understandings. Expanding perceptions of climate change data. 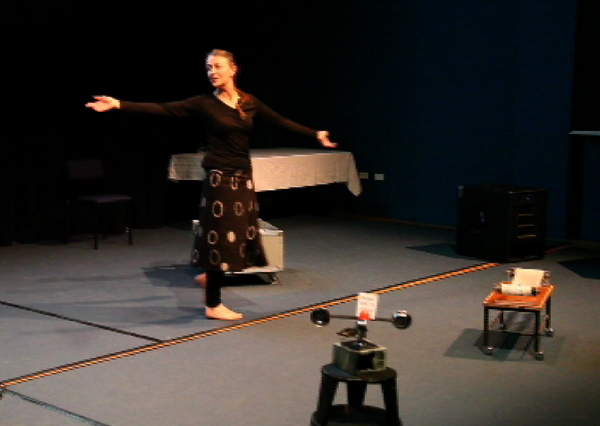 Lisa Roberts in the theatrical adaptation of the academic paper co-authored with scientist Steve Nicol (Polar Journal, 2011). Direction and co-presentation by Daniela Giorgi Subtlenuance Theatre Company. Drawings of dancers feature on a poster presented by Eva Tillberg to support her research in movement therapy. 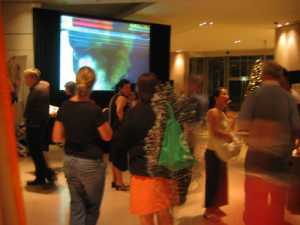 The animation Antarctic Energies is presented at the Sydney International Film Festival, hosted by the University of Technology, Sydney, 24-26 September 2010. 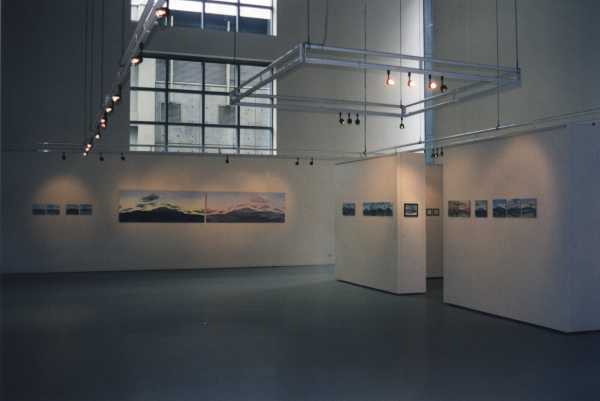 The animation Antarctic Energies is presented at the Antarctic Visions conference, Tasmanian School of Art, University of Tasmania, 22 June 2010. 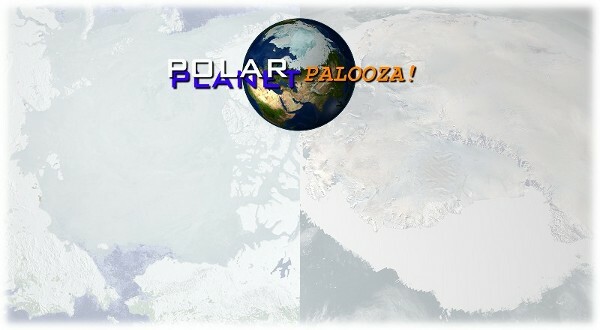 The animation Antarctic Energies screens with scientific presentations at Polar Palooza. Animals of the poles: Presented by Mike Castellini and Rob King. Mike is a seal scientist, penguin enthusiast and veteran of more than 15 expeditions to the Arctic and Antarctic. Rob is an expert on krill, the tiny but all-important base of the Antarctic food chain. Krill is food for penguins, seals and giant whales plus an indicator of the Southern Ocean's health. 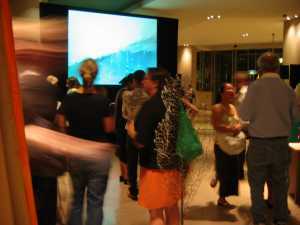 The animation Energies is presented in the Workshop, Krill biology and ecology of the world oceans. See: PICES Newsletter). 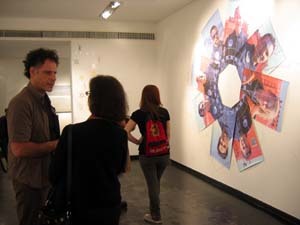 Animations and art works are presented with Sur Polar in Beunos Aires (2008) and Mexico City (2008). 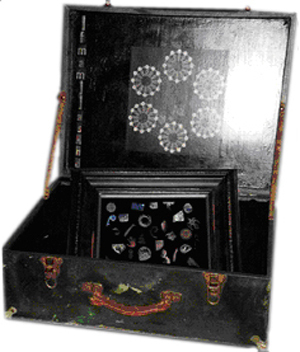 CURATOR: Andrea Juan, Museo de la Universidad Nacional de Tres de Febrero, Buenos Aires, Argentina. 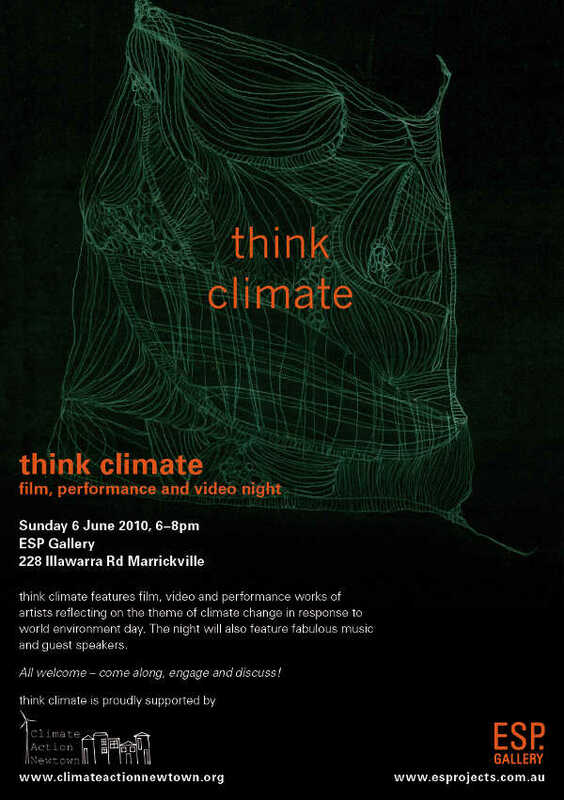 PARTICIPATING ARTISTS: Philippe Boissonnet and Lorraine Beaulieu (Canada): Photography and object; Phil Dadson (New Zealand): Video installation; Karin Beaumont and Lisa Roberts (Australia): Objects, animation; Mireya Maso and Pamen Pereira (Spain): Photography and Drawing. 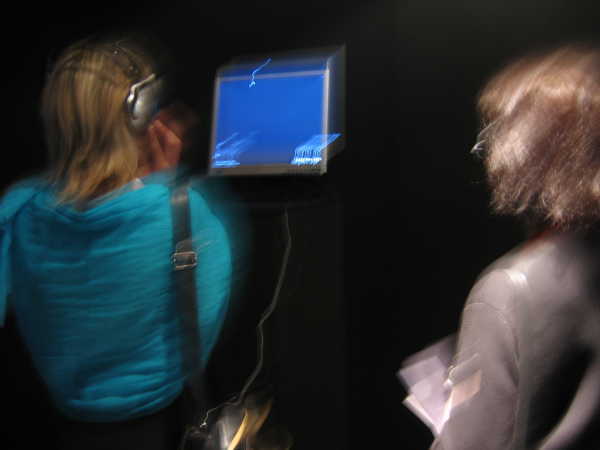 Marina Curci (Argentina): Painting; Jorge Chikiar: Sound Installation; Adriana Groisman-Stefan Oliva (USA): Video; Marcelo Gurruchaga: Photography; Andrea Juan Argentina): Video Installation; Alberto Morales (Argentina): Painting; Jorge y Lucy Orta (Britain): Video. Essays by Annick Bureaud (France) and Nina Colosi (USA). 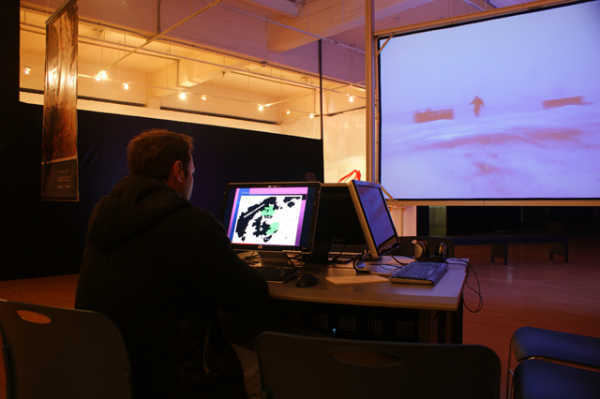 The animation Imagining a different view is screened at the conference Imagining Antarctica in September 2008 at the University of Canterbury, Christchurch, New Zealand. Examining the Earth's southernmost continent from a cultural perspective will be on the agenda for those taking part in an Antarctic Conference being held at the University of Canterbury next month. The Imagining Antarctica Conference is being convened and hosted by Gateway Antarctica, UC's centre for Antarctic studies and research, in partnership with Massey University and the University of Tasmania. Drawing on the arts, social sciences and humanities, the three-day conference from 4-6 September will focus attention on the ways we perceive and represent the frozen continent. It will be the first humanities-based Antarctic studies conference and will be followed in 2010 by another at the University of Tasmania in Hobart. 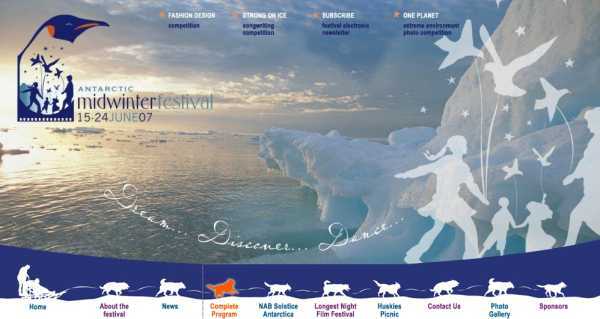 Imagining Antarctica has been timed to coincide with The Press Christchurch Writers' Festival and a number of the conference's keynote addresses will be delivered by international writers also in town to speak at the literary event. One of these is English writer Francis Spufford, the author of I May Be Some Time: Ice and the English imagination, a seminal and award-winning cultural history of the British obsession with polar exploring. He will open the conference with a talk looking at the roles for the southern continent in twentieth century culture. Another highlight of the conference will be the public talk by author and broadcaster Vanessa Collingridge on the evening of Thursday 4 September (the opening session of the writers' festival). She will focus on her acclaimed biography of eighteenth century explorer Captain James Cook, which was made into a prize-winning documentary series Captain Cook: Obsession and Discovery which aired on Prime in New Zealand earlier this year. The third keynote speaker at the conference is American Dr Elena Glasberg from Princeton University whose dissertation on 'Antarcticas of the Imagination' led to a life-long academic interest in Antarctica, studied from a number of perspectives including postcolonial studies and geopolitics, feminism, law and science. Home-grown talent included in the line-up of speakers includes poet and creative writing lecturer Professor Bill Manhire, poet and playwright Bernadette Hall and photographer Ann Noble. 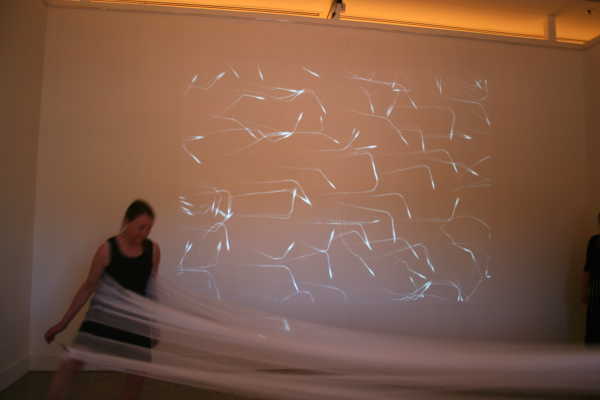 I perform with the artist Christine McMillan as part of her installation, Animated Seeds. In response to watching the animation, Ice Sound, high school student Aidan Davis writes a poem, Iceberg. 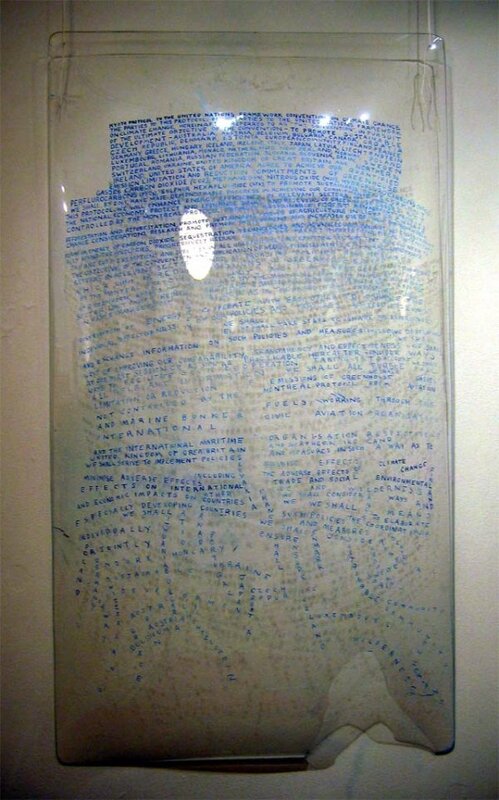 I engrave his poem into recycled sheets of Perspex. 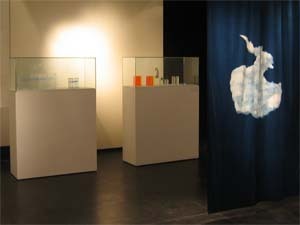 The aim of this research is first to collect evidence of what the scientists, and others who have worked in Antarctica, have observed and responded to in the landscape; second to devise an on-line animated interface through which to engage viewers with both the science and poetics of the data. Animation will be used to increase understanding of changes in Antarctic landscape as identified in the records provided by Antarctic workers - the people who have studied it, and physically endured a full year of its changing landscape. The Animated Dialogues conference was hosted by Monash University and the Victorian College of the Arts. Animated Dialogues brings together scholars from a range of disciplines whose work brings critical perspectives to bear on animation industries, texts and audiences. This event offers a rare opportunity for academics and other professionals from Australia and overseas to network and share their viewpoints on a wide array of animation topics shaped by their cross-disciplinary interests related to the study of animation. The 'Changing Nature' exhibition explores the profound changes being imposed on global and local natural places by climate change and technology. It invites considerations of the symbolic place of nature in our lives, how we shape our environment and how it shapes us? What does it mean to be human in a world where genetic engineering and nanotechnology are set to reshape our world gene by gene, atom by atom? 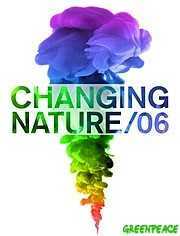 What are the implications of humans changing the climate and altering the cycles of nature upon which life depends? Sharing insights with expeditioners can validate feelings about Antarctica, and expand this sense to include scientific understandings. 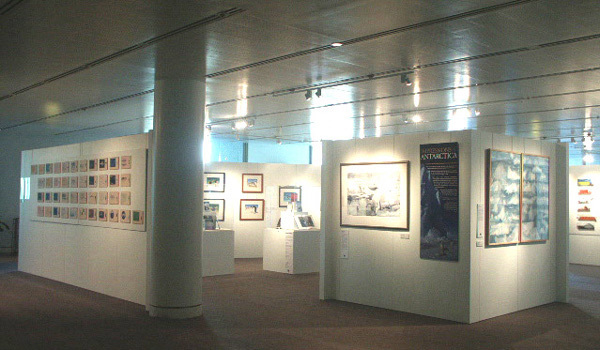 A mixed exhibition featuring the works of participants in the Australian Antarctic Division Humanities Program. Glimpse Antarctica afresh through the eyes of this vast array of talented people and share their impressions. Experience the profound effect that Antarctica has had on their lives. Lisa travelled to Antarctica on the RSV Aurora Australis in February 2002, visiting Davis and Mawson stations. She kept a journal "gathering material with which to convey something of the experience", which has become a wellspring for the production of drawings, paintings, photographs, an animated interactive CDROM and other more eclectic works. 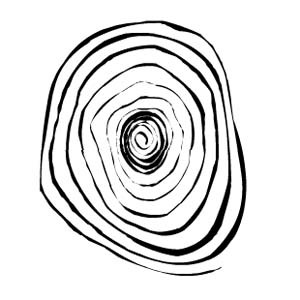 Roget's Circular (Roget) is an interactive animated work that combines the responses that two artists made to places in Australia and Europe. 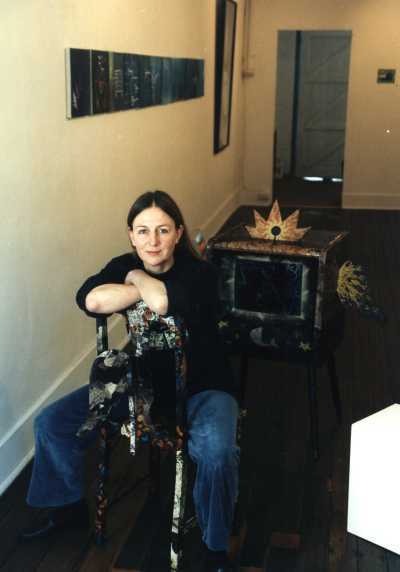 Media elements including images, words, sounds, and animations, were developed in collaboration with Melissa Smith. 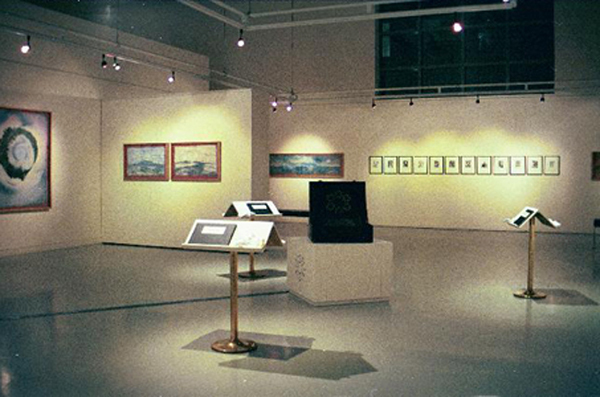 Roget was exhibited as a touch screen installation in a suitcase, surrounded by drawings, paintings and other objects that were made as it was developed. 1. That my European forebears represented environments as static landscapes provoked the idea that animation could be used to convey an experience of moving through them. 2. 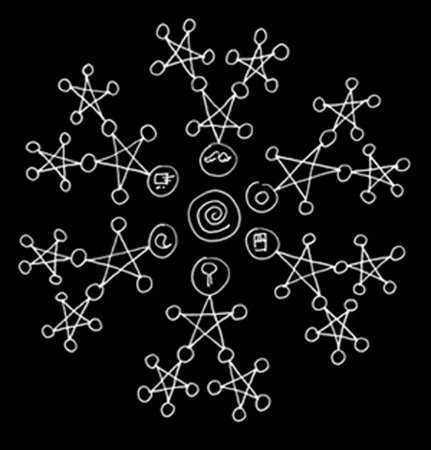 Because people who have worked in Antarctica describe it as possibly the most dynamic and elemental environment, an sense of being there may be described through simple gestures and line drawings that reflect their knowledge. 3. 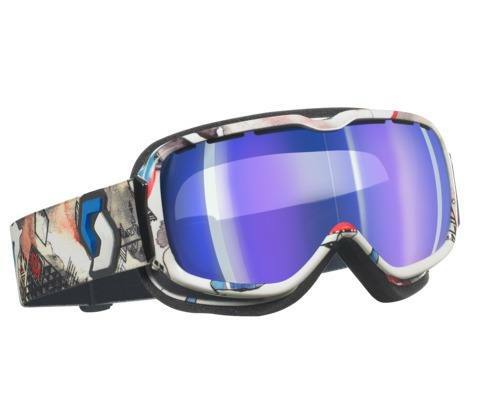 Digital animations can be arranged on interfaces with art works and written texts to represent the same environment from different perspectives. 4. 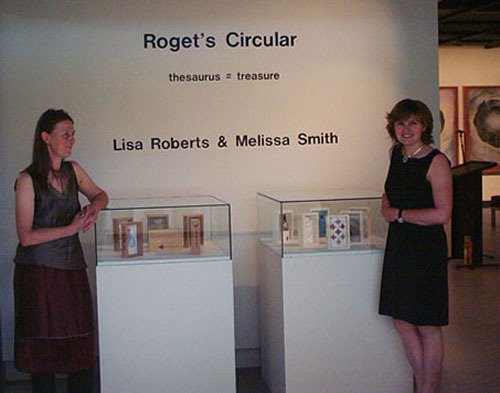 In Roget, artistic responses of two women were combined to describe some environments around some easily accessible places. To describe Antarctica, the most inaccessible continent, would require access to the knowledge of people who have observed and experienced it. 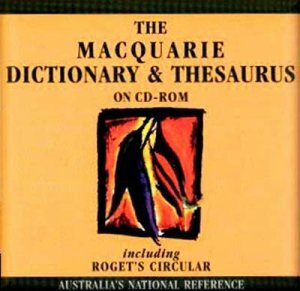 Ways of working with more than one person would be needed to gather and record how people describe their knowledge of Antarctica. 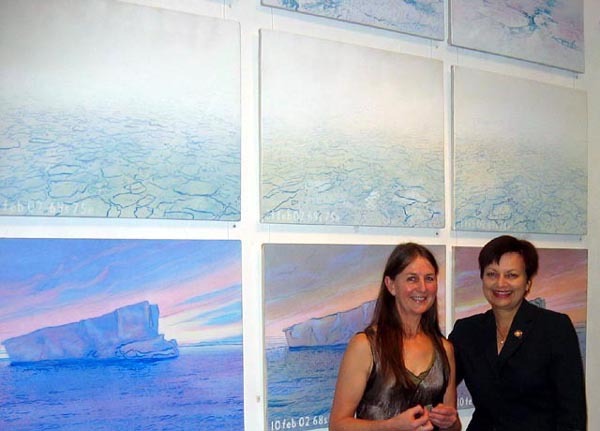 Created by two artists, it draws on the Australian landscape, and on imagination, memory and family history. 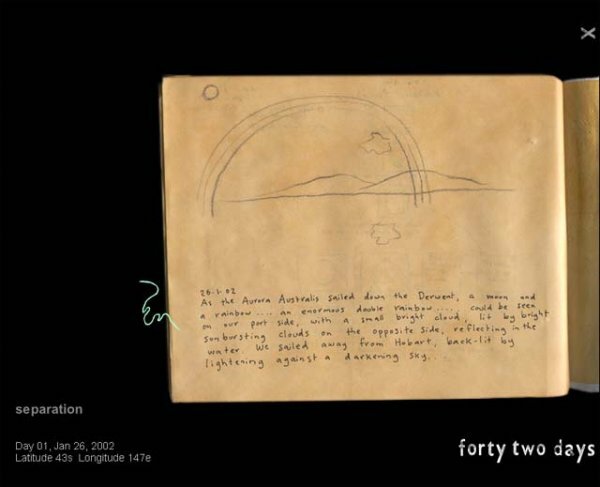 Terra Incognita is an interactive animated work that reflects the creative process of Australian writer, Carmel Bird. 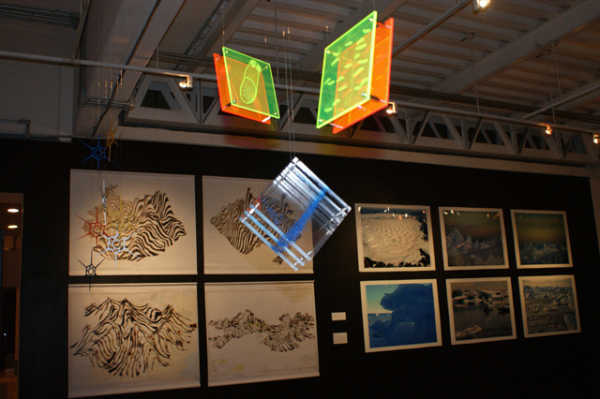 Its maze-like site map was conceived as a visual display of the serendipitous nature of her creative process. 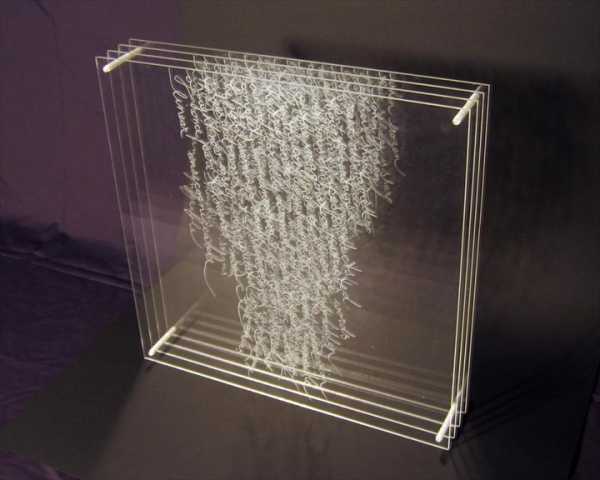 This structure displays media elements in a way that suggested chance encounters. A sense of chance encounters, with people and places, was replicated in Antarctic Animation by arranging texts on screens in different combinations. 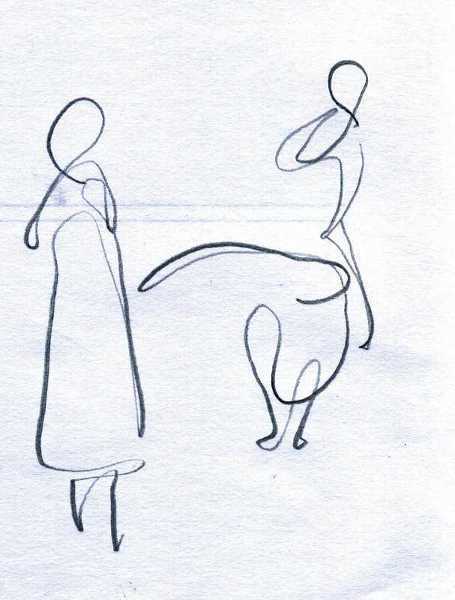 The animation, Beware of Pedestrians, was conceived as an animated improvised dance. Its aim was to explore the expressive potential of human gesture through the medium of animation. A digital human form was made for manipulating gestures. 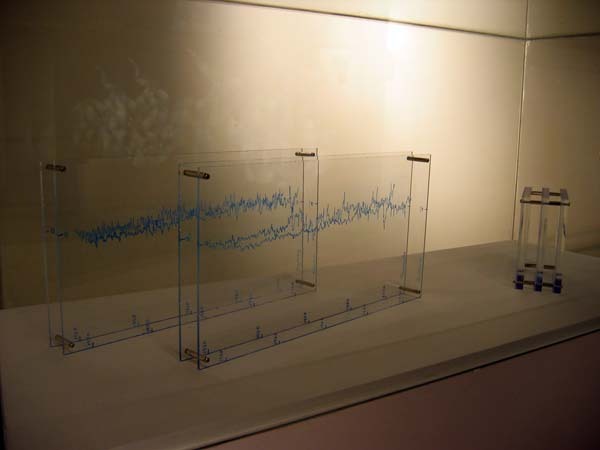 Its design was adapted from a model which was developed for use in osteopathy, to observe lines of force as they move through the body (Parsons and Marcer, 2006, Illus. ).